1. After carefully reading AL, my first reaction to this document on love is that Pope Francis actually does not love his readers. He imposed on them an unnecessary burden that no one would inflict on anyone he loves. Indeed, he could have expressed everything he set out here in a much shorter text. The Italian copy I read, taken from the Vatican website, has 146 pages; the English edition in book format has 250 pages. It is exorbitantly large for a papal document! Francis should have presented a better written and much shorter document. Had I been the editor of this document, I would have simply removed the five first chapters, which contain almost nothing of substance. In short, to present such a prolix draft as a final document is a lack of consideration for Catholics. 2. When one is accustomed to the papal encyclicals before Vatican II, issued in the most serious, elevated and noble language, the comparison with Francis’ populist style is shocking. Especially for topics like conjugal love, which demand a great distance and reserve, particularly when dealt with by men who supposedly have dedicated themselves to a chaste life. In another text, he enters into specifics: “In marriage it is good to have the joy of love. When the pursuit for pleasure becomes obsessive, it limits itself to only one ambit and keeps us from experiencing other types of satisfaction. Joy, on the other hand, increases our capacity for pleasure and helps us find fulfillment in any number of things, even in those times of life when the [physical] pleasure fades.” (§ 126) Again, why this prosaic orientation on sexual pleasure in an official papal document? Further on Francis continues: “Let us remember that authentic love also knows how to receive from the other, … does not refuse to welcome with sincere and joyful gratitude the corporal expressions of love found in a caress, an embrace, a kiss and sexual union.” (§ 157) A Pope should not write about these details. This is matter for the confessional, not for a public document. Bergoglio’s approach on sexuality is disgusting. If he continues on this path, shortly he will be teaching explicit Tantric practices of sexual embrace that aim to provide more intense pleasure. At this point, I imagine a conservative reader turning his eyes to the sky and, with an expression of pity toward me, saying: “What an absurd statement!” Well, I just made explicit what Francis says implicitly when he invites his reader to welcome different types of Taoism and Buddhism, not excluding their Tantric practices. 3. 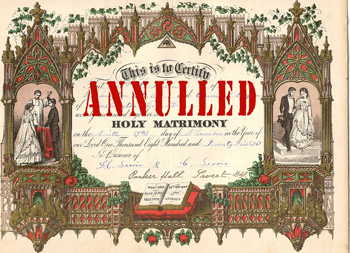 When the first end of marriage was procreation and the second was mutual support of the spouses, referring mainly to the remedy for concupiscence, papal encyclicals dealt very little with the conjugal act. They stressed charity, which should exist in marriage between spouses and toward the children, with an extraordinary balance, entering neither details nor excesses. The fruit of this wise policy was almost two millennia of exemplarily stable Catholic marriages. But, since Vatican II inverted the ends of marriage, it required as a consequence the exaggeration of the role of love. This hypertrophied love brought as a corollary an overstressed eroticism. So, instead of that pure language we had, for example, in Casti connubi by Pius XI, we are receiving the para-pornographic and syrup-soaked sentimentalism of the conciliar Popes’ teachings. The fruit of this inversion is that never in history has Catholic marriage been more unstable than in this post-conciliar phase. The result speaks for itself of the failure of this exaggeration of love. Amoris laetitia is its apogee: a sticky swamp of poisonous syrup. After reading it I felt the need to find intellectual/spiritual sanitization. 4. Another point that catches attention is that, along chapter 4, Francis tries to explain to the reader many Greek expressions from the 1st Epistle to the Corinthians in which St. Paul dealt with charity. 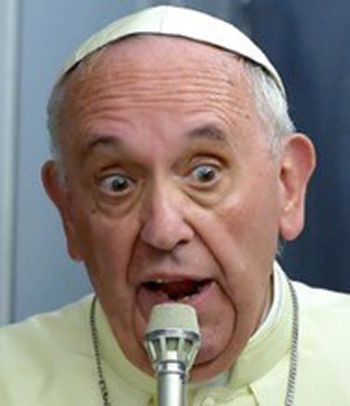 So, Bergoglio gives the original Greek, translates it and, then, comments on it, doing this for each expression. Now, as far as I could verify in his biography, Francis knows only the most elementary Greek taught in seminary courses during the Council. I would be agreeably surprised if he could carry on a conversation in Greek or read without embarrassment the Greek Fathers. I am not even sure whether he is fluent in Latin, which is the official language of the Church. So, if I am not wrong, why this theatrical pretense that he knows Greek well enough to establish himself as a judicious and scholarly exegete who can explain to the entire world the deepest meanings of St. Paul’s original text? It seems to me this is just another of his bluffs, manifesting his keen vanity to shine momentarily before many persons who do not have the habit of analyzing what they read. Does this not apply to Francis himself when he pretends to know and teach Greek? The texts quoted in this article are my translation to English from the Italian original; I did not check it with any other English translation.